2. Quran Translation in 25 Languages English, French, Latin, Malay, Spanish, Turkish, Indonesian, Urdu, Persian, Hausa, Swahili , Albania, Russia, German, Azerbaijan, Chinese, Denmark, Bosnia, Portugal, Uighur, Italian. (press translation key to the translations). The recitation voice and translations can be chosen, and a copy of Arabic translation of Quran attached with this. 99 Allah Names with beautiful pictures. users can choose the host country and city, set the Method and Juristic Method, set current system time, then the player shows each day’s Azan time. Users can also choose to use Hijri and Daylight saving. 8. Audio support MPEG1/2/2.5 audio player1,2,3 format (code rate: 8kbps-384kbps ), support WMA format audio(code rate 8kbps-320kbps), provide Natural, Rock, Pop, Jazz, Bass, user-defined and 3D stereo audio. 9. 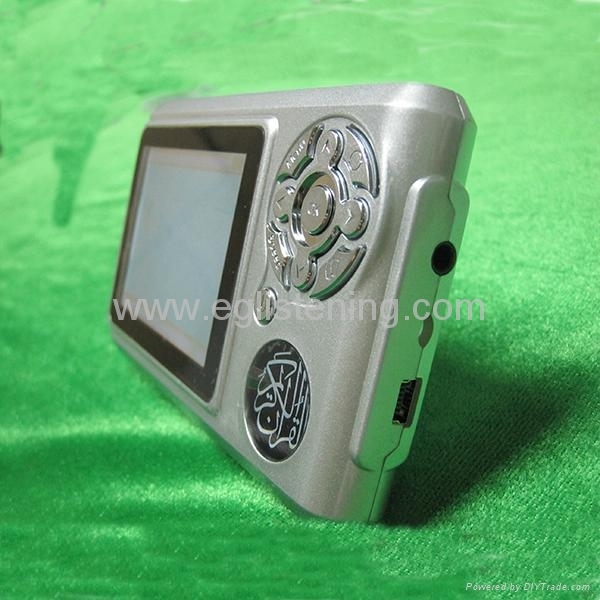 Video support MPEG4 AVI format video with high quality display. 12. Recording support built-in Mic recording function, can choose long time or high quality recording. 13. Set up choose languages and reciters, set up the backlight and device automatically closed. 16. 2GB/4GB memory Flash , high quality, more shells for choices, with a stand.